Prop Store, one of the world’s leading specialist retailers in movie and television memorabilia based in LA and London. We were very excited by the fantastic response to our press release earlier in the week which announced our premier event of the year – The Prop Store Live Auction 2017 – which will take place on 26th September in the iconic Odeon BFI IMAX in London. Welcome back to all of you who have followed us through previous years’ events, and a warm welcome to all our new followers. In addition to our regular themed online memorabilia auctions and online sales of memorabilia all year round, the Prop Store Live Auction is our opportunity to present hundreds of very special pieces in this most exciting format. You will have the opportunity to join us in the London Odeon BFI IMAX to bid in person. However, even if you can’t be there with us in person on the day, you can also stream the auction live from anywhere in the world, with an interactive webcast to track the bidding, and be fully part of the action! Our global community of buyers bid from the room, ‘live’ online, or by telephone, from all corners of the world. Over the following weeks, we would like to take the opportunity to use this blog to give you a special Preview of some of the rare and unique props, costumes and production materials that will be coming up for sale in this year’s Live Auction. The preview will start today, with a sneak peek at some of our favourite 80’s Sci Fi Icons items, and we will continue to give you first look at what is coming with twice weekly blog updates right through to auction day. And, if you can get to London, the BFI IMAX will also be hosting a free 3-week museum-style exhibition of over 300 of the key auction pieces in the weeks leading up to the big day. But today, the focus is on a few of our favourite 1980s Sci Fi Icons. 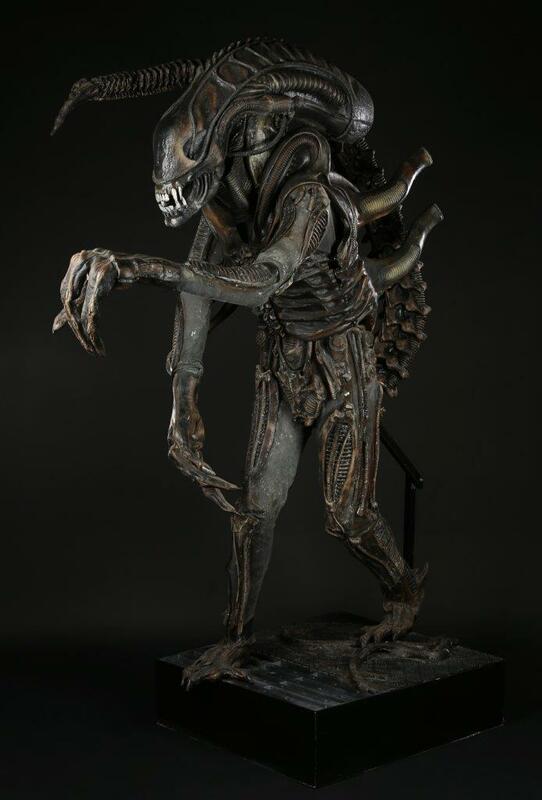 So whether or not you like your sci fi icons dark and scary like the Alien, or if the force for you will always be Star Wars, there should be something for you in this year’s LiveAuction. First up in our 80s Sci-Fi movie icons is the amazing Alien warrior costume from James Cameron’s action sci-fi sequel Aliens (1986). Cameron tasked Stan Winston with updating H.R. 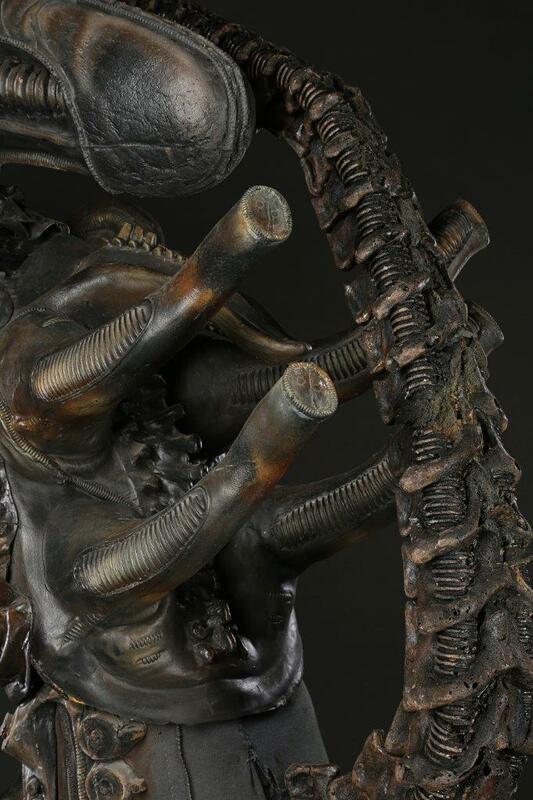 Giger’s original design for the alien creature, and the creatures were portrayed by stunt actors and dancers to achieve the convincing dynamic movement of the revised warrior designs. The costume consists of a black nylon bodysuit, with attached hard polyfoam parts moulded in the creature’s iconic bio-mechanical shape, with foam boots, foam tail and slip-latex gloves. 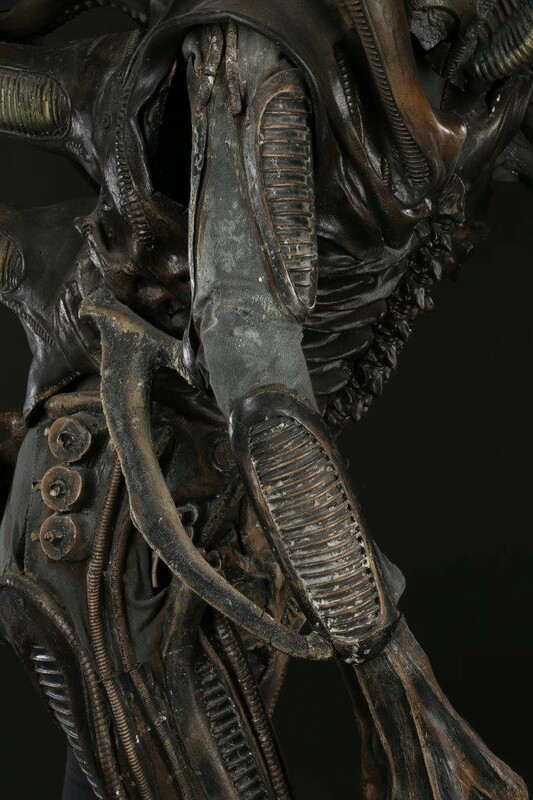 Completing the costume is a highly detailed replica headpiece, made from polyfoam with a soft foam interior; a slip latex-rubber replica chest panel; and back panel with the creature’s distinctive ‘exhaust’ pipes. Next up is Marty McFly’s (Michael J. 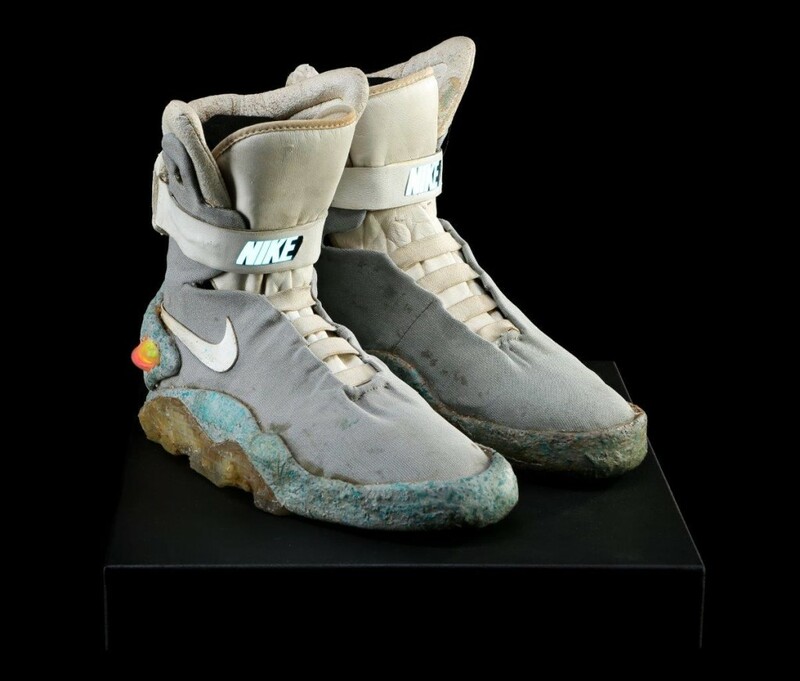 Fox) iconic light-up 2015 Nike shoes from Robert Zemeckis’ sci-fi sequel Back to the Future Part II. 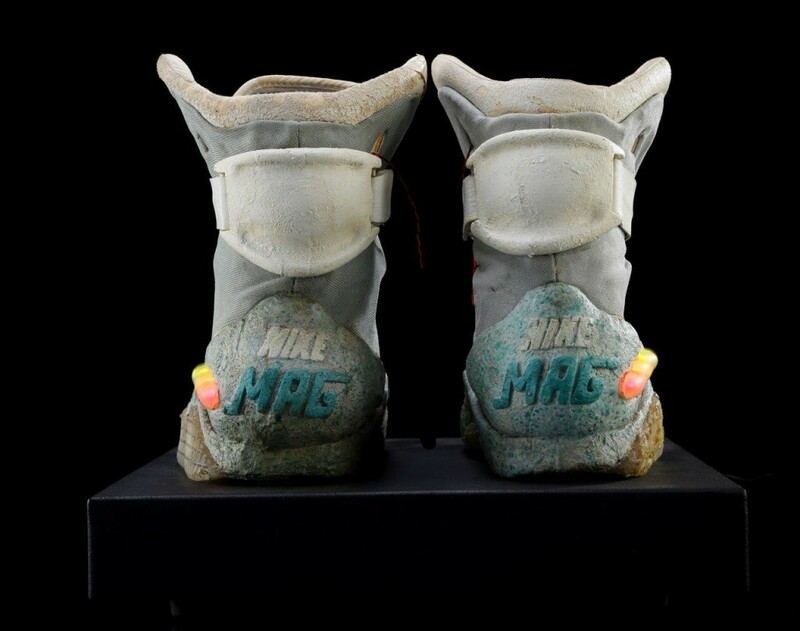 Designed by Nike shoe veteran Tinker Hatfield, these shoes represented a futuristic take on the classic Nike brand. 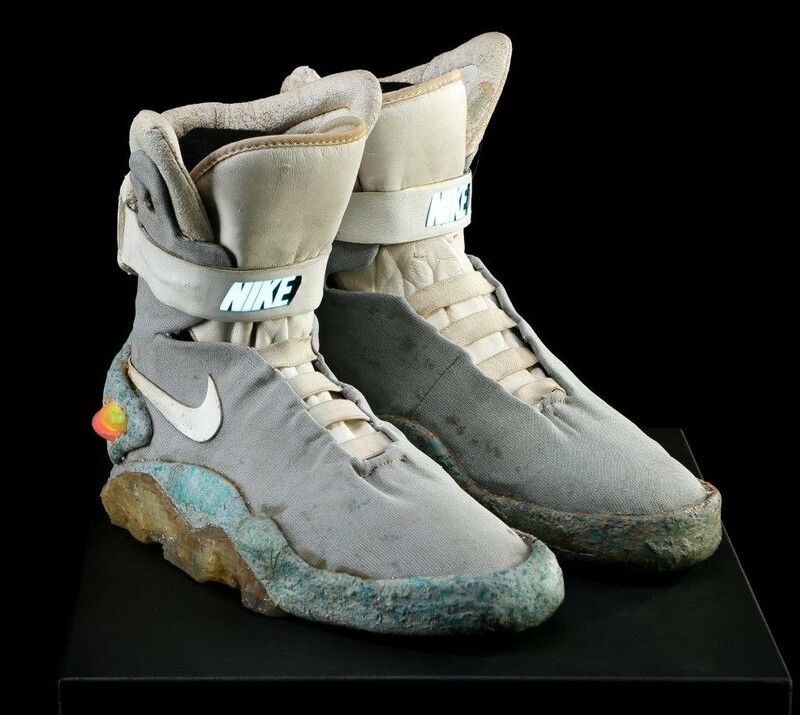 Several versions were created in order to achieve the various special effects requirements for the self-lacing sci-fi shoes; this pair is a light-up walk-around version. The high-top sneakers feature a soft grey canvas panel with the Nike logo glued to the side, and blueflecked foam sole around the perimeter. The sneakers are outfitted with LED lights on the side of the heel, and an illuminating “NIKE” logo on the ankle strap. 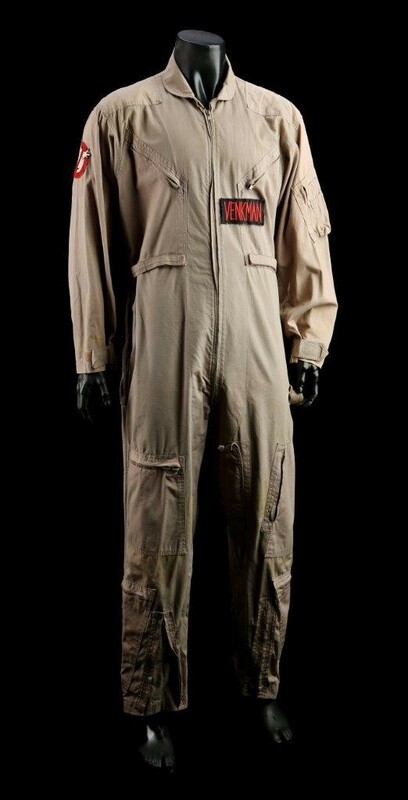 Another amazing piece coming up in this year’s Live Auction is Dr. Peter Venkman’s (Bill Murray) jumpsuit from Ivan Reitman’s supernatural comedy Ghostbusters (1984), where Venkman wore his Ghostbusters jumpsuit during numerous ghost-catching scenes throughout the film. This bespoke one-piece zip-up jumpsuit is made of cotton, and features numerous cargo pockets on the sleeves, chest and legs. 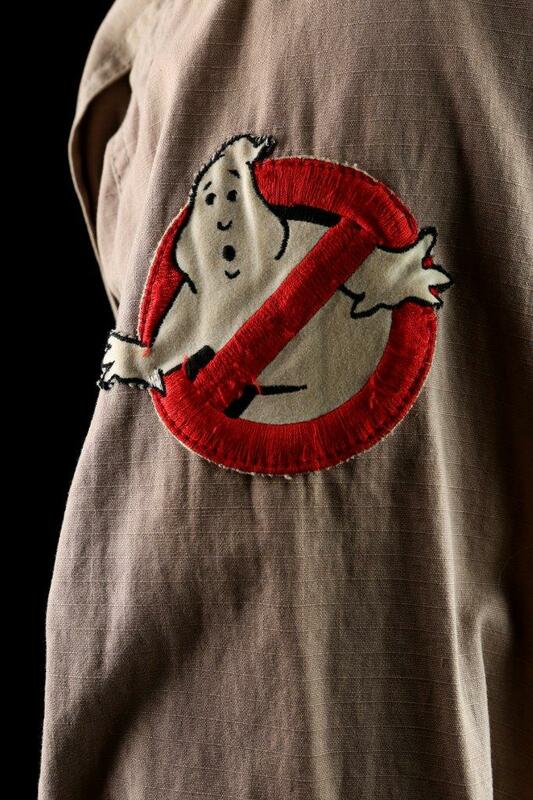 The jumpsuit includes the iconic embroidered Ghostbusters logo patch over the right arm, and has a urethane valve stitched over the left thigh. This costume includes a spare valve and an unattached name patch that reads “VENKMAN”. Written inside the costume is “TBS”, which stands for The Burbank Studios, where the film was shot. The Burbank Studios later became part of Warner Bros., who acquired the costume department at that time. Paired with the costume are two Warner Bros. Certificates of Authenticity for the costume and patch respectively. 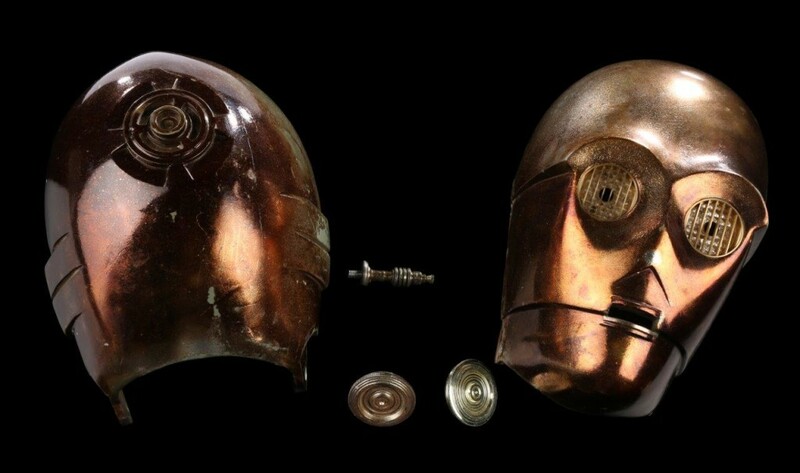 And finally in our line-up is this amazing C-3PO Special Effects Head from Star Wars: The Empire Strikes Back (1980). Following the success of Star Wars and after feedback from Anthony Daniels, the decision was taken to overhaul the C-3PO costumes for The Empire Strikes Back. As part of the upgrade, the helmet was crafted from injection-moulded plastic, making it more comfortable than the previous fibreglass design. 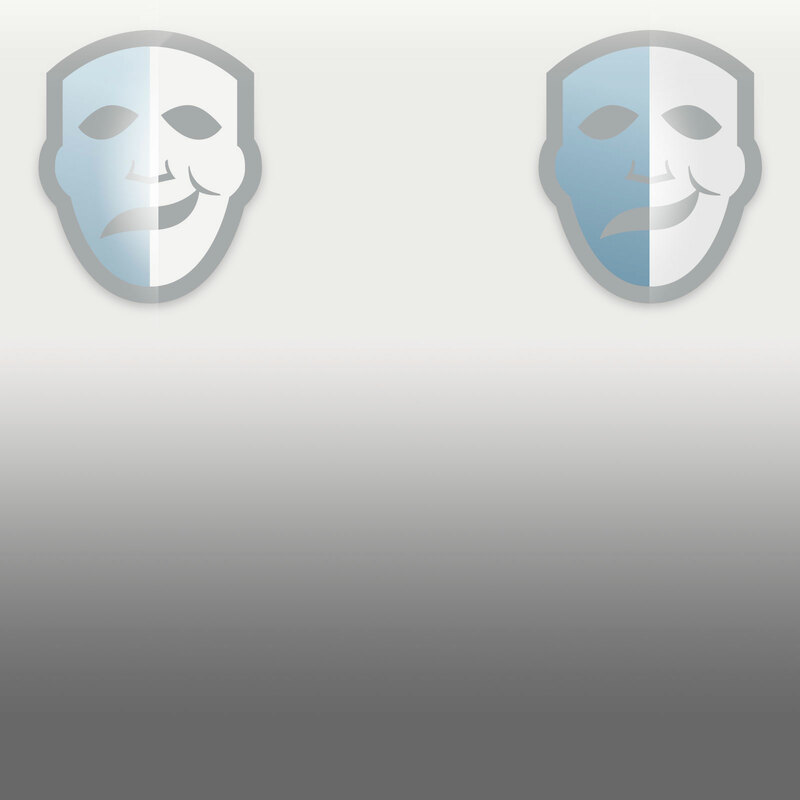 However, when the helmets arrived after manufacture, the plastic was found to have shrunk, making them too small for wear. Not to let them go to waste, some were turned over to the special effects department. This plastic helmet is of a clamshell design, with an interlocking faceplate secured with threaded bolts at the top of the head and on both sides of the neck. Hand-written production markings are present within, with “SEFX” written in black marker along the inside of the forehead, and above it the number “12” in blue marker. Similar markings are present in the rear section, indicating a matched pair. Scoring is present in the eye sockets, where eyes were once fitted during use on the production. Replica eyes have been added to complete the look of the piece, with light-up functionality powered by a 9-volt battery. The helmet retains much of its original metallic finish, achieved via a process of copper plating, with a vacuum-metalised top coat. 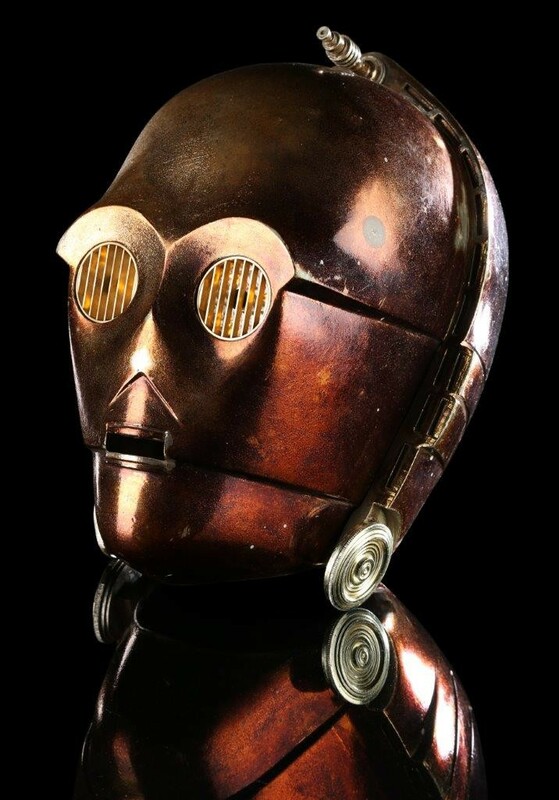 The finish has tarnished and darkened with age, a common case with many original C-3PO pieces — the result of chemical reactions between the material and the coatings applied during the production. Hi, are all attendees for auction only? Can fans come along to see the items without being involved in the auction? Over 300 lots will be on display at the bfi IMAX London for 3 weeks before the auction I believe! So yes fans can go and take a look!